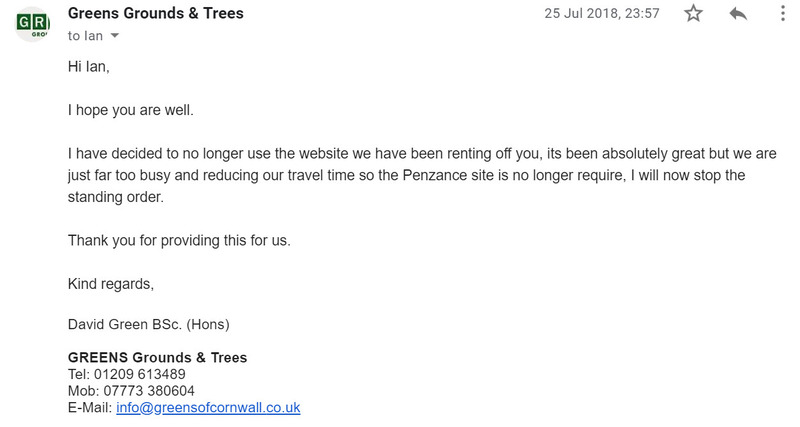 "...it's been absolutely great but we are just far too busy"
David has rented www.gardenerspenzance.co.uk for the last 3 years. Why does this website make the phone ring? 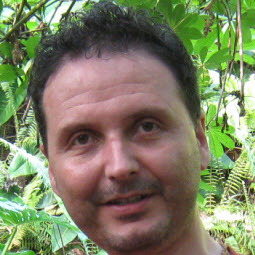 After 3 years, David Green no longer requires the website - he has enough clients now. Looking for More Gardening Customers? 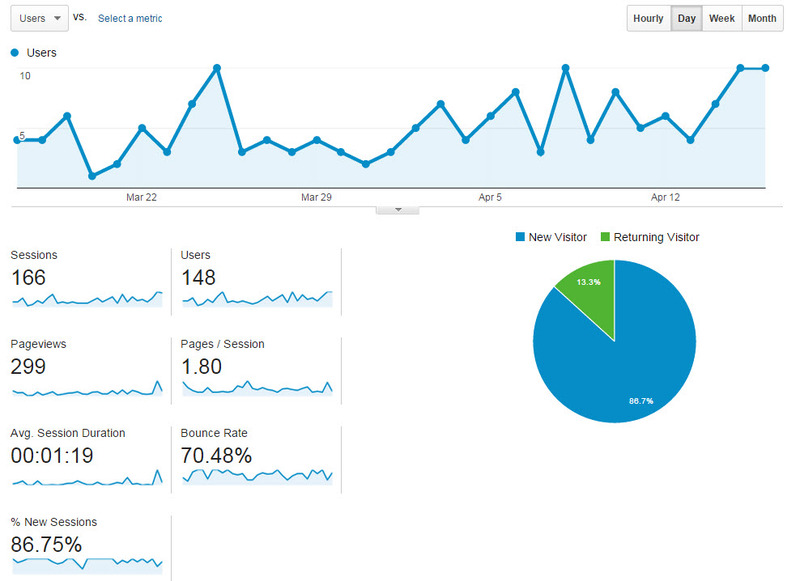 Here's your chance to own a lead-generating, already-ranked website which has been pulling in customers for over 3 years now. 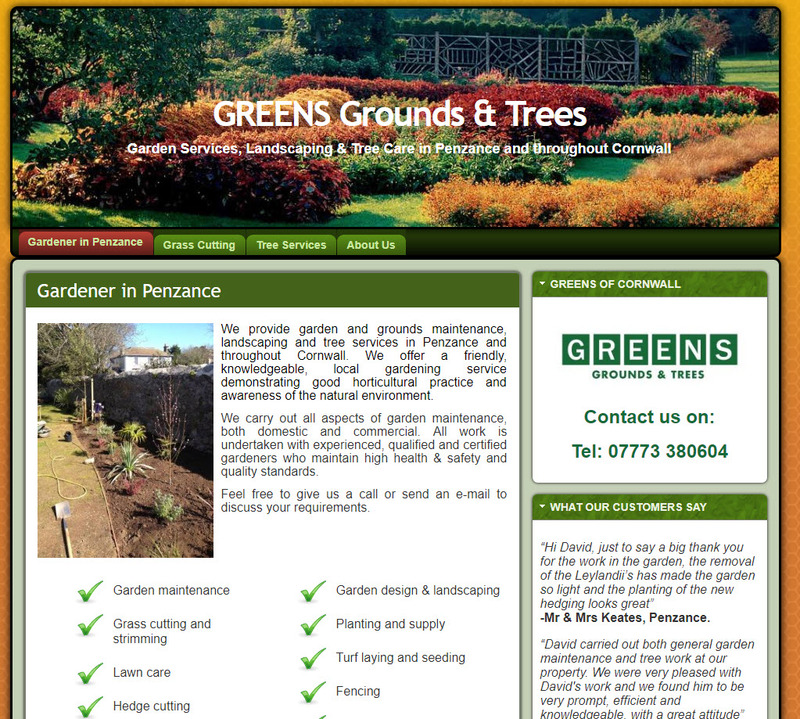 Google example: "lawn care penwith"
When people use Google to look for garden services, they use a wide range of search terms. This site is top for 70 local terms - as well as being on the first page for some Cornwall-wide searches. 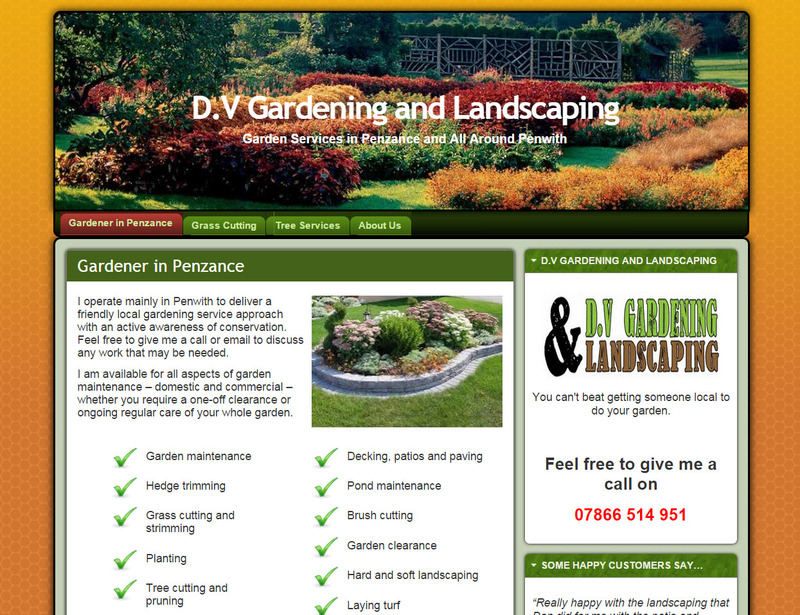 This brings people to the site who are already looking for garden services - the best type of prospects! Due to it's high visibility and proven track record I'll be putting the site up for sale/auction for an asking price of £5500 for outright ownership. If you'd like like to proceed, simply contact me and I'll send over an invoice with details for a bank transfer. Then we can begin the process of putting your details on to the site and you can look forward to your phone ringing with people needing your services. or call​ 07708 228170 and leave a message. I'll be giving preference to enquiries about purchasing and 12-month rental.